Decaf Espresso Arabica & Robusta Beans. 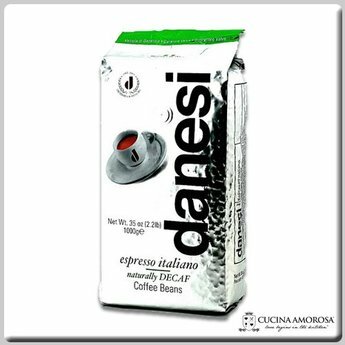 Danesi decaffeinated coffee features all the characteristics of true espresso coffee. Meticulous blending and roasting of washed Arabica and Robusta create a suitable harmony combining to bring you a classy, intense and rich flavour. The natural water system-based decaffeination process eliminates the caffeine present in coffee, maintaining the product's properties unaltered.